When you hear about proms taking place in the UAE, you’d be forgiven for assuming we talking about the highlight of any teenager’s social calendar. But for Brits, Proms can really mean only one thing: orchestras, classical talent and the reverberations of the world’s greatest choirs. 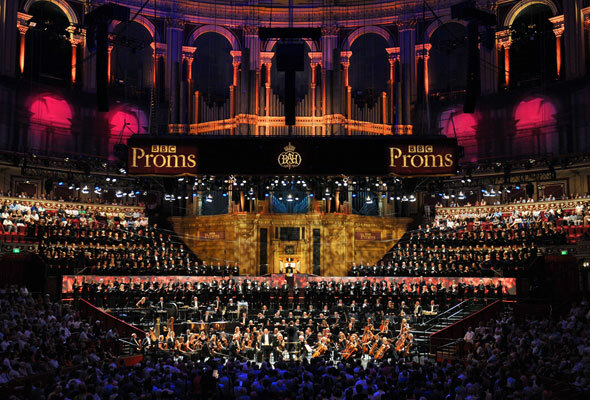 Each year, the BBC Proms reach a TV audience of more than 300,000 people over an eight-week concert series. It has become a cherished icon of British culture. Now the world’s biggest festival of classical music is packing up the trombones and headed to Dubai with four days of concerts at Dubai Opera; think orchestral showpieces, piano solos, choral work and Arabian-jazz fusion. Over the course of six proms, you’ll hear works from Mozart, Gershwin, Debussy, Stanford, and Strauss, and plenty more original pieces by contemporary local and international composers. 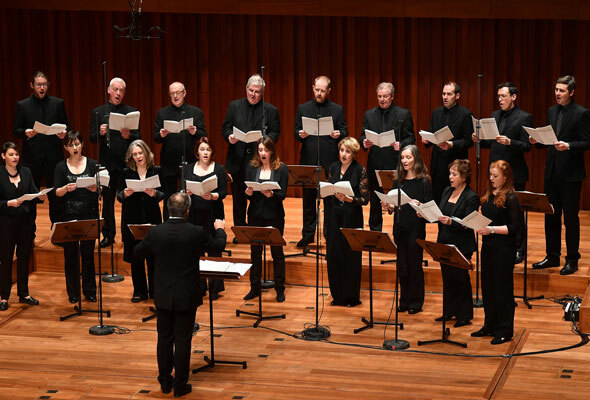 Highlights include music from The BBC singers and BBC Symphony Orchestra, as well as long-time Proms conductor Edward Gardner, 24-year-old piano prodigy Benjamin Grosvenor and the ARIA award-winning Joseph Tawadros Quartet. Then there’s the glorious Last Night Of The Proms – a proms tradition that typically turns into one big party. British crowd favourites such as Henry Wood’s Fantasia or British Sea-Songs and Thomas Arne’s Rule, Brittania! close the night. If all this has left you wanting to try your singing chops out for yourself, a programme of workshops, masterclasses and open rehearsals will also take place over the four days, in line with the UK/UAE Year Of Cultural Collaboration. Why is it called a ‘Prom?’, I hear you ask? The Proms are actually named after London’s outdoor promenade concerts that started way back in the 19th century, where a cheap way to take in a glam concert was strolling through a London park and loitering around the bandstands. The name later stuck to the concept of concerts with cheap standing tickets. Tickets: There are several ticketing options: standing or seated tickets, as well as single entry or multi-day tickets. A season pass to all six performances costs Dhs300. Standing tickets and seated tickets are on sale online now. What is a Prommer? Well, if you’re standing, that’s you. To prom (noun) and promming (verb) is other jargon to add to your new collection. Wear: There isn’t usually a dress code for the Proms, so jeans are perfectly acceptable. Also, if you’ve got a promming ticket (Dhs50), then ladies, you might want to opt for flats. The Last Night Of The Proms: Forget the fact you’ve just earned your sophistication badge at a week of classical concerts; this one’s a free-for-all. A closing ceremony of sorts, the last night is a celebration of the Proms, and will bring together all of the previous nights favourites: the BBC Symphony Orchestra will be there, as will the BBC Singers, and a host of soloists. This one has to be earned, though – you can only get a ticket to this if you’ve attended at least one other show.